RE/MAX Real Estate (Central) Calgary REALTOR®: RE/MAX Real Estate (Central) #206, 2411 - 4th Street N.W. 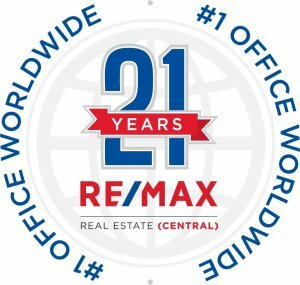 Professionalism, results and customer satisfaction are synonymous with the RE/MAX® name, but what really makes RE/MAX® Real Estate (Central) outstanding is its amazing team - which includes a number of the top performing agents in the world - and stable, professional support staff, says Pat Hare, owner. Hare credits this crackerjack team, along with the dedicated hard work of former business partner Paul Mair, with helping put RE/MAX® Real Estate (Central) on the international map. The original founders and co-owners of RE/MAX® Real Estate (Central) from 1984 to 2008 were Mair and Hare. Though Mair left in 2008, the strong contribution he made over the years was instrumental in helping RE/MAX® Real Estate (Central) achieve the award of the Top RE/MAX® office worldwide for 10 consecutive years. It's about the people on the team, and we have some of the best. #206, 2411 - 4th Street N.W. Reviewed March 14th 2019 by A satistifed Customer! Reviewed April 25th 2018 by Stanley C.
Reviewed April 22nd 2018 by Steve R.